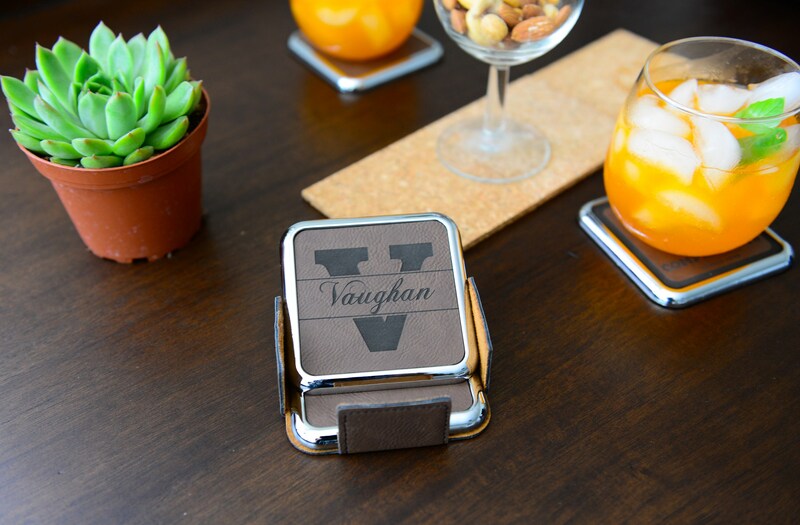 This leatherette coaster set comes with four chrome-edged, finished coasters. 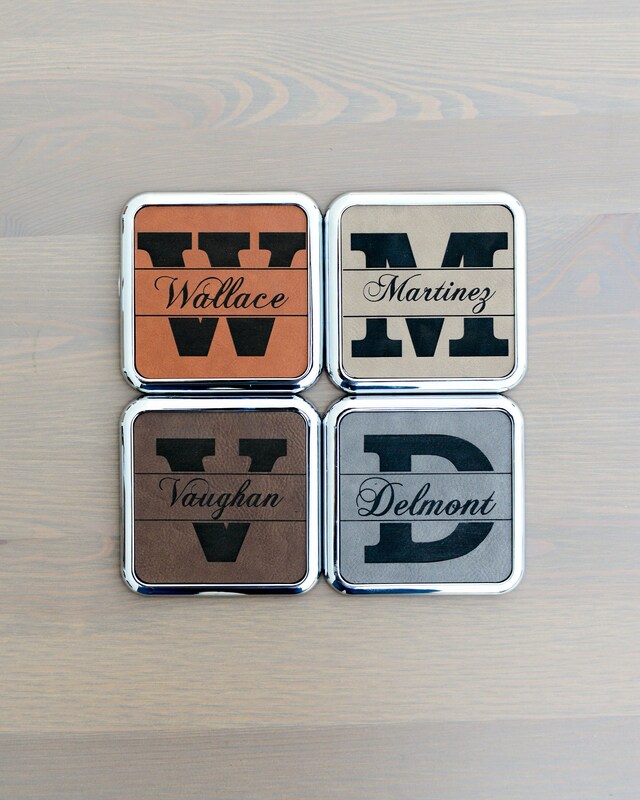 The coasters measures 3.625" x 3.625" (9cmx9cm) and comes in four distinct color options. All coasters have padded felt bottom to prevent slipping. 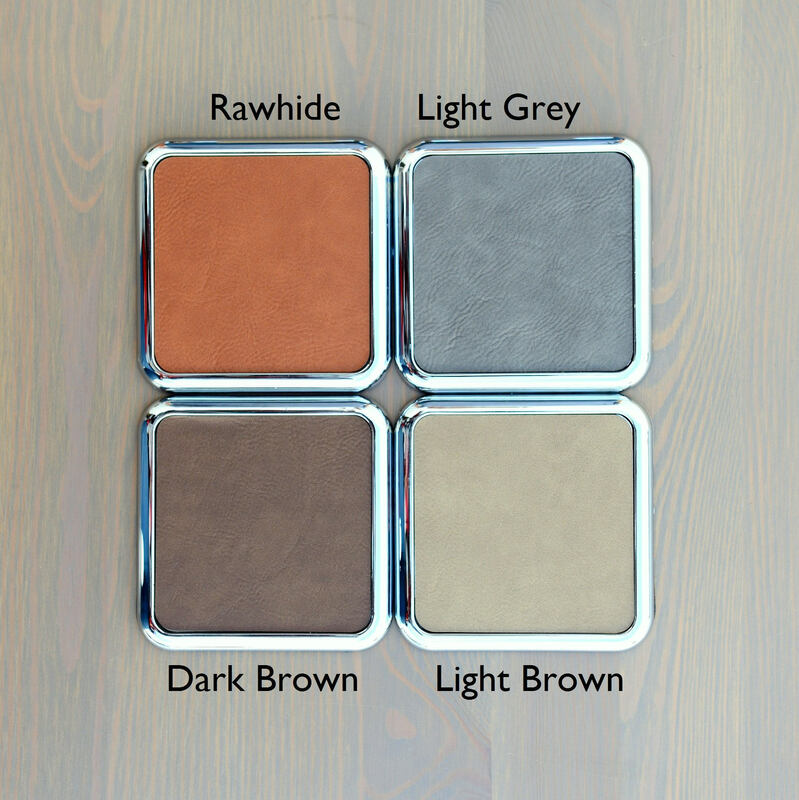 All four coasters will be engraved with the same content, and come with the same color leather. 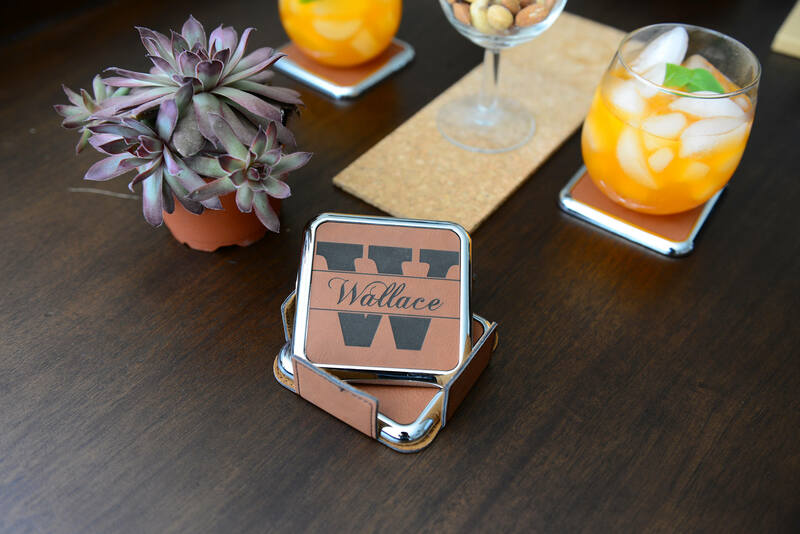 Makes a great gift for newlyweds, father's day gifts, bridal party members, rehearsal dinners, housewarming or bachelorette parties, and family gatherings. 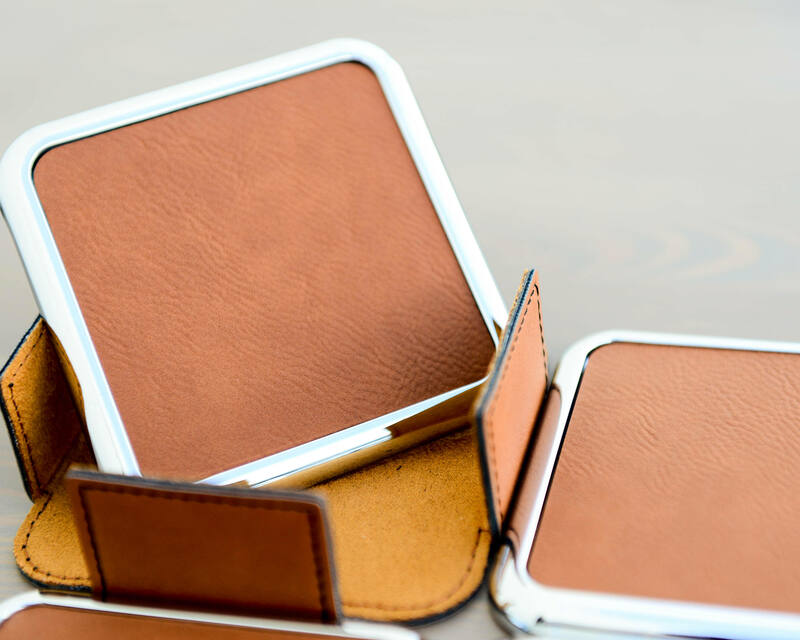 Our leatherette is not genuine leather. The color shown in picture might alter slightly in person. Please check the order details and shipping information upon checkout. All orders are custom made.